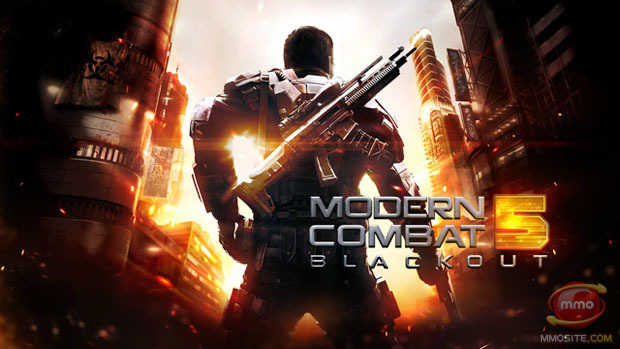 ‘Modern Combat 5: Blackout,’ the game embarrassingly leaked by competition winners given early access to it, is now available on iTunes. First seen in a trailer in early June, Gameloft claims that the latest installment is the best yet. Designed for both iPhone and iPad, it will run on anything from the iPhone 4S and iPad 2 up, as well as the 5th generation iPod Touch. The game costs $6.99. A huge update today is available for Gameloft’s popular Modern combat 4: Zero Hour app. The ‘Meltdown’ update brings three new maps, 7 new perks, and much more content to the latest in the Call of Duty-like series for iOS devices. New maps in the update include a train station and city streets in Barcelona and a research facility in Antarctica, while new weapons on offer include the SFS CTK-12 sniper riffle and the 40mm Thor GLP Grenade Launcher Pistol. Tango, a mobile messaging and video calling app, has announced that it will open its platform to third-party developers in order to expand the service. The company, which now serves over 120 million members worldwide, plans to partner with third party developers in order to integrate its newly crafted software development kit (SDK) into its apps. Tango states that by allowing third party apps to take advantage of their unique messaging and calling service, it can better serve as a unifying social layer amongst games and other apps. The company hopes that by doing so it can better reflect users’ real-world connections with friends and family and create gaming experiences akin to participating in the cliched family board game night than blankly staring down at a smartphone. According to Tango CEO Eric Setton, users have been playing a massive amount of games within the app every month. “But we found that we can’t do everything we want to inside the app, in terms of putting out the most compelling content out there and presenting it to our members,” Setton explains. Much as Tango’s actual service, the SDK allows the third-party apps to connect with its network, retrieve a list of friends, and then allow those users to message each other using text, picture, and video. The SDK also includes support for social leaderboards, which show how users’ scores compare with friends and allow for both competitive and collaborative in-game mechanics. Game developers have given the SDK a warm reception so far says Setton, because of its potential for increased app discovery. Gameloft will soon be releasing an app in called “Candy Block Breaker for Tango” on iOS, and that will be then followed by “JetPack Jinx for Tango,” developed by Bubble Gum Interactive. Developers like Gameloft and Bubble Gum Interactive who utilize Tango’s SDK will split revenues amongst the participating companies. While initial partnerships with Tango were specifically focused on mobile gaming, Tango’s SDK will be open to developers looking to to add the functionality to another app genre. Building and opening an SDK is a massive step for Tango in its steady transformation from a simple video calling app to a mobile social network. If executed correctly, Tango’s SDK may be able to push the company into a position that could rival existing networks like Skype and Fringe. Time will tell if Tango’s investment into third party apps is the key to its own success. Developers interested in Tango’s service can apply for access to the Tango SDK from the company’s homepage.